In 1988, Scott Gilbert was a Masters of Fine Art student at the legendary Lawndale Annex of the University of Houston. He asked a professor, Derek Boshier, if he could do a comics project for an independent study class. Boshier said yes, on one condition. He made it a requirement that Gilbert get the comic published. Gilbert approached a local newsweekly, The Public News, and started his strip, True Artist Tales. 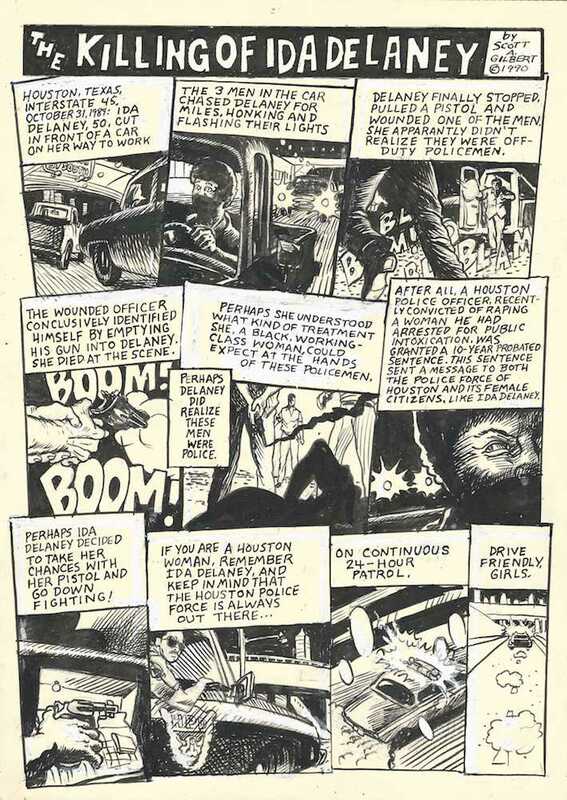 Initially the comic strip was set among the artists of Houston, but he soon spread out to drawing highly political comics as well as very personal and revealing comics. And what started as a class project lasted from February 1988 until October 2000, starting at the Public News, moving to the Houston Press in 1997. Scott Gilbert was born in 1961, studied art at the University of South Florida and then started his MFA at the University of Houston in the mid 80s. In addition to True Artist Tales, he has had work published by Fantagraphics Books, Dark Horse Comics and Caliber and has collaborated with famed autobiographical comic writer, Harvey Pekar. 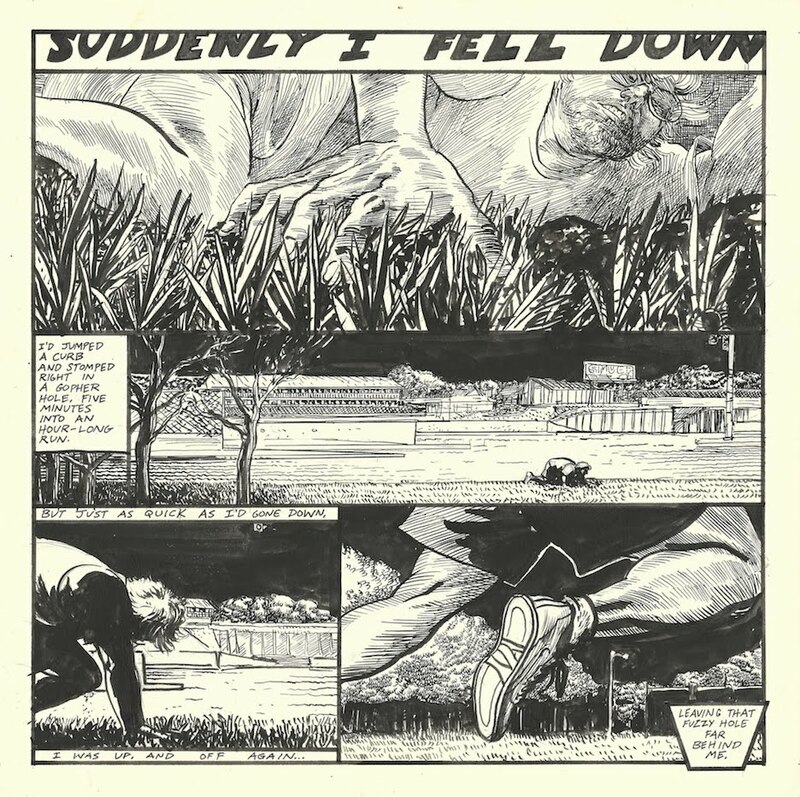 His art is known for its strong chiaroscuro effects and visual influences ranging from Alex Toth to Jaime Hernandez to Chester Brown. True Artist Tales was unusually philosophical for a comic strip, and his comics feature such legendary Houston settings as the Axiom, Commerce Street Artist Warehouse, Pik-N-Pak, etc., as well as strips from the road set in Fort Davis, Port Aransas and Balmorhea. In addition, Gilbert did a number of serialized stories, including the early one True Artist Tales Featuring Nick Duchamp, a quasi-hardboiled detective story set within the Houston art community, which will be rerun on the art website Glasstire starting in October, and Mysterioso, his hilarious and shocking modern retelling of Faust starring conscience-stricken gangster, Franco "the Animal" Guzman. The entirety of Mysterioso will be included in the retrospective, which includes 133 pieces of Gilbert's original comic art. 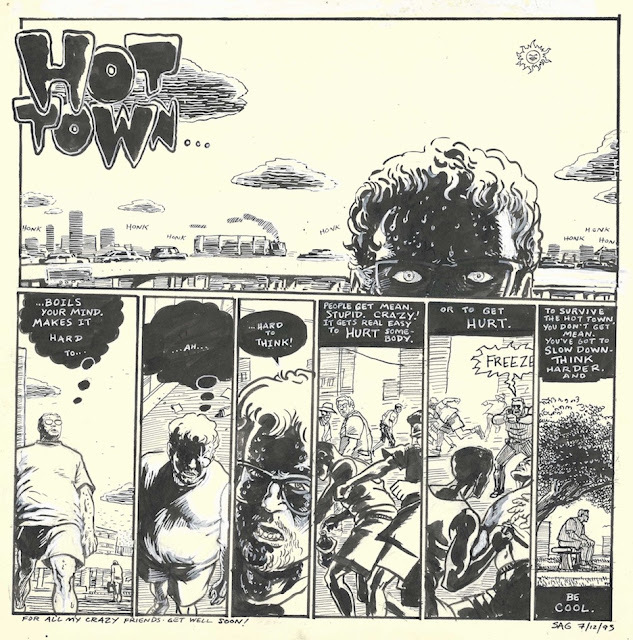 The exhibit is curated by Robert Boyd, who has long been involved in both comics and art. He was an editor for Fantagraphics Books and published the Houston-based art blog, The Great God Pan Is Dead. Please join us for an opening reception of True Artist Tales at the GAR Gallery on Saturday, November 26th from 6-9pm. And be sure to check out the preview on Glasstire in the weeks leading up to the show!